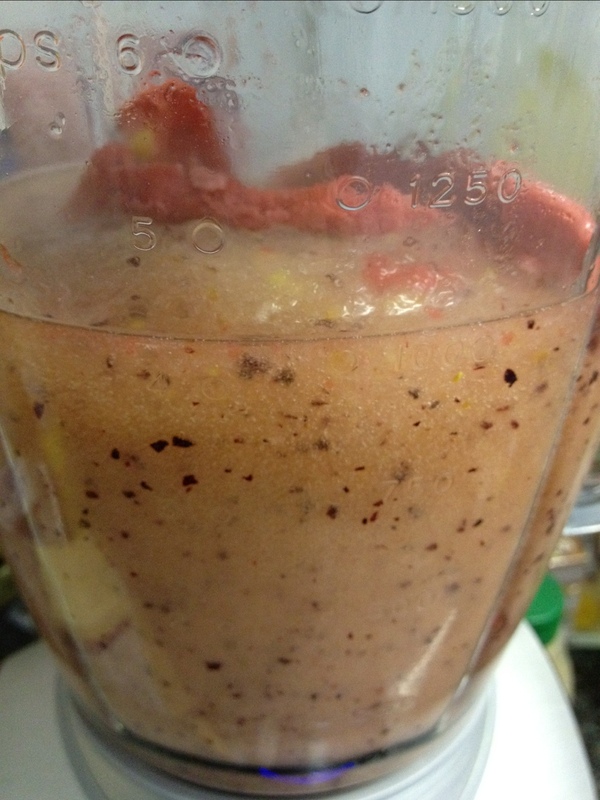 Thanks to a fellow blogger I realized that you can also drink plums. 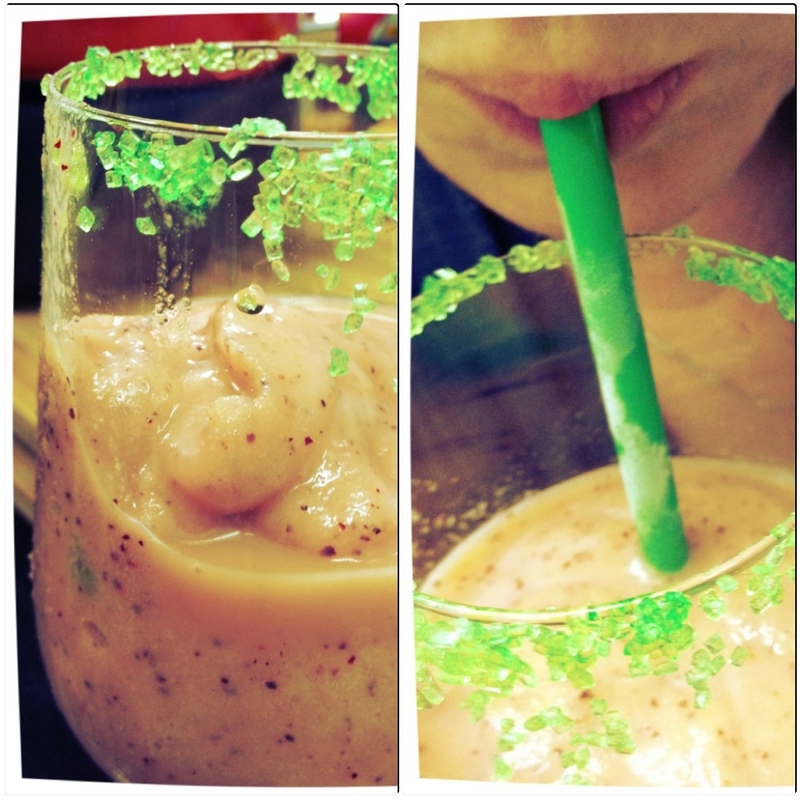 By making a frozen plum margarita! 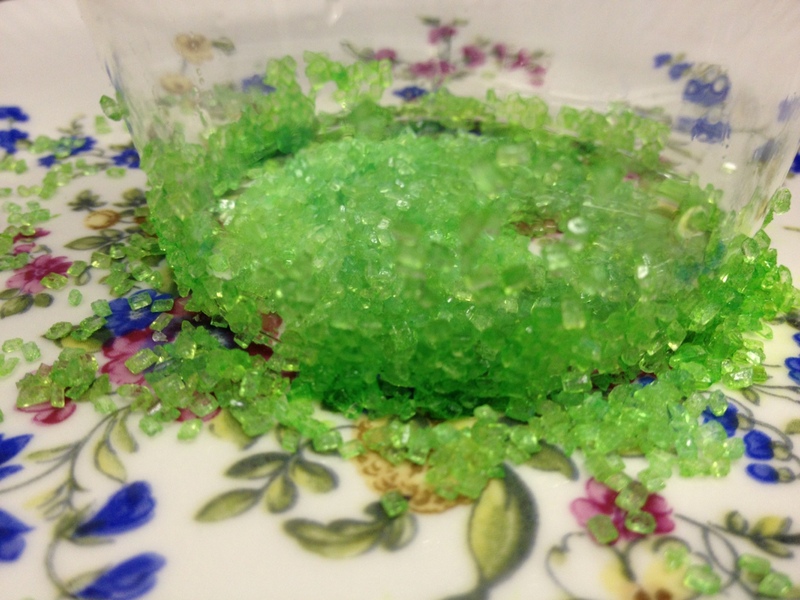 After preparing the glass with coloured sugar, I got out my trusted blender. I didn’t have Tequila at home and used a lemon vodka (Smirnoff) instead. 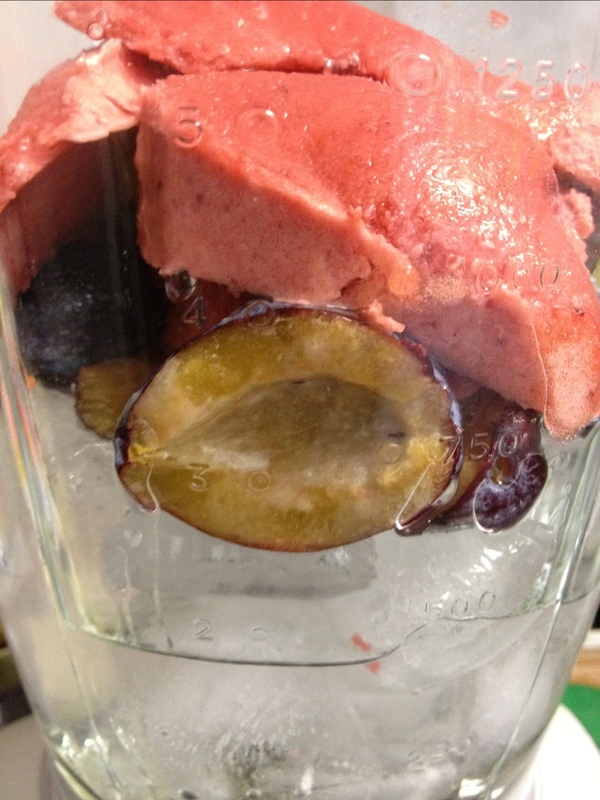 Also, instead of making a plum sirup I used my plum sorbet and mixed in some fresh plums as well. your usual lime or strawberry margarita. 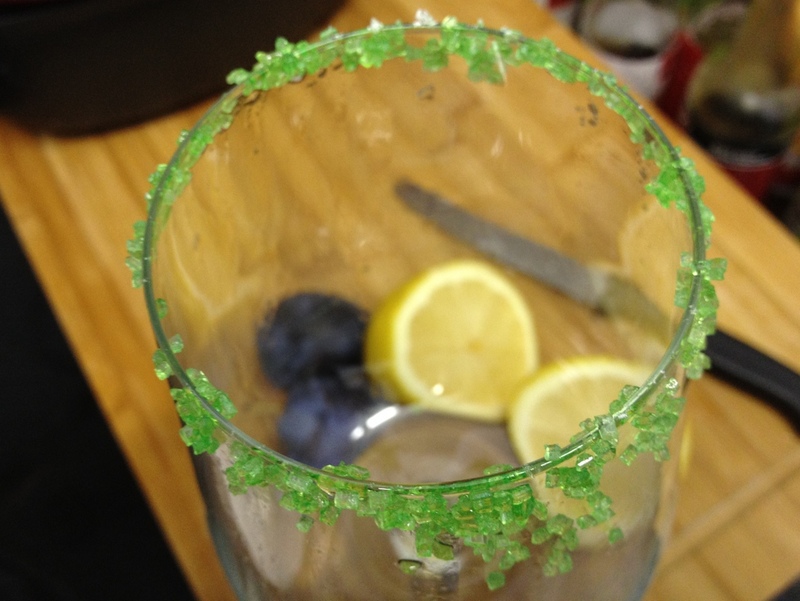 Thanks to Margarita Maker Extreme for the great idea!